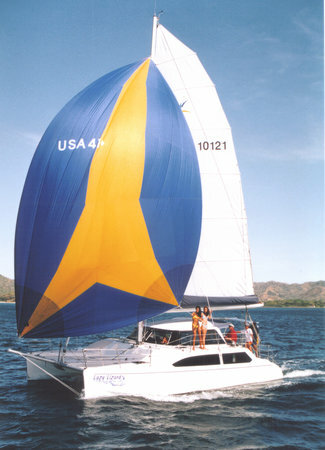 Tours from Sail Stars & Stripes USA-11 tend to sell out - travelers recommend booking in advance! Stars & Stripes - What a ride!!! Fun for Everyone - Non Sailors Too! Bring your soft shoes and hop aboard with the friendliest crew around! Arrive early to enjoy the video personally narrated by Bee - who tosses in lots of good stories about Dennis Connor and others along the way! (Also, arrive a little early to find the office - which is down the dock aways from Stars & Strips - just look for the tallest black mast.) Bee and the crew put safety first, but without taking away from any of the fun. 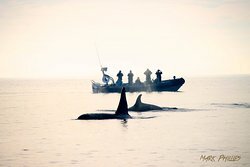 We've been out twice, once on a very calm day (under 7kn wind) and good air (20+ wind) - and both were good experiences! Snacks and soft drinks are included on the boat, and there's plenty of opportunity to winch-grind and steer. It's easy sailing on the bay because the crew will help you find a spot on shore to dead reckon toward- and yes, there's a trusty windex on top 'o the mast! It's a thrill to sail such a historic, sweet 12 Meter... whether you're a sailor or landlubber! 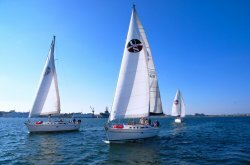 We have been on a lot of sailing experiences in the US and Europe and are not easily impressed. But Stars and Stripes is so wonderful and amazing that I don't have enough superlatives to describe the sailing experience. The crew and owners are all kind, friendly, welcoming and of course top notch sailors. The boat itself (the 1992 America's Cup winner) is beautiful and terrifically fast. Everyone gets a turn to skipper or do other jobs on board and no sailing experience is needed. The three hours just whizzed by and I could have stayed for several more spins around the Bay. Get there early so you don't miss Bee's history of the America's Cup - impressive. DO NOT miss this! Thank you so very much for the great review! Sounds like you had a good time on our authentic America's Cup boat Stars & Stripes USA-11. And I agree, the America's Cup history is foundational in realizing exactly what we offer. Back in 1992, San Diego, Stars & Stripes was a new design for the America's Cup. 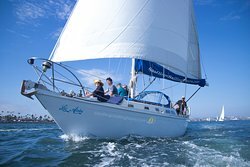 Actually, the yacht was designed to be raced here in San Diego's light to moderate winds! With San Diego's amazing weather, we are able to take guests out, like yourself, year round. Hope to see you again soon.